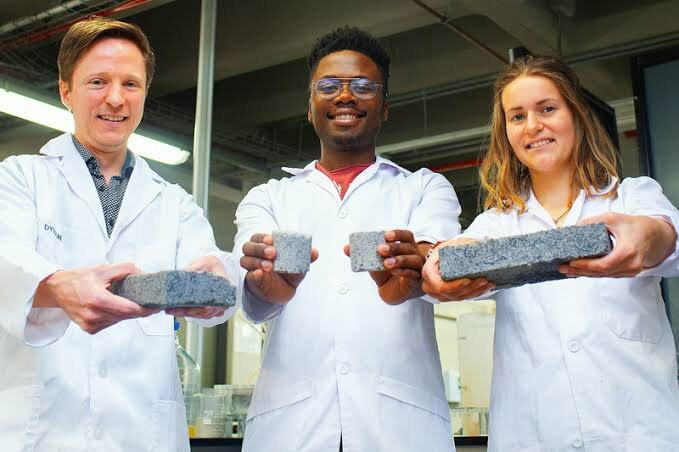 This brick created from human pee unveiled at a Cape Town University this past week. 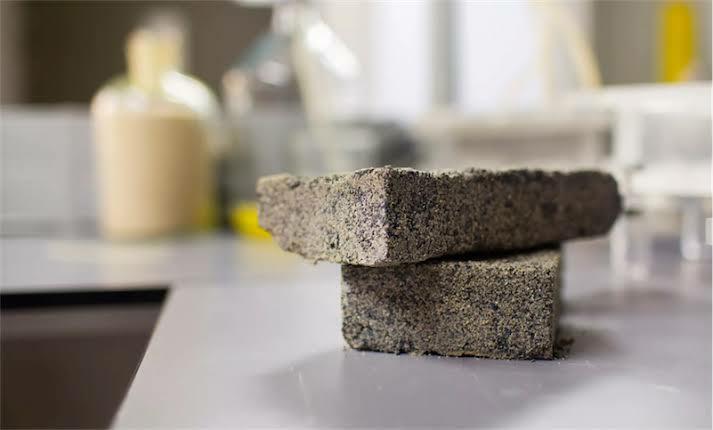 These bricks created by University students is completely environment friendly. They combined urine, sand and bacteria, allowing it to solidify at room temperature for a few days. It follows the same natural process as that of corals. Normal bricks are baked at 1400°c, this required extreme amounts of energy and produces great amount of carbon dioxides. Bacteria produces enzymes that breaks down urea in urine. This then binds sand to form hard rocks ‘urine-bricks’ or ‘bio-bricks’. The strength and shape of the urine bricks can be altered as per requirements. Bricks completely lost their ammonia smell after 48 and they do not post any health risks. It takes about 4-6 days to make them, but if you need them stronger and tougher you you’d need to leave it longer. The idea is fantastic and would prove great help to developing countries to deal with environmental crisis. It’s easy to gain raw material if implemented. Fitting public toilets to collect urine, these tanks then can be emptied in a plant to manufacture such ‘Urine – bricks’.